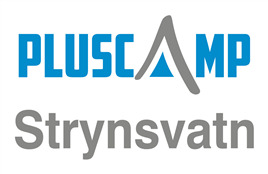 Strynsvatn Camping is a modern, up-to-date campsite, and as a part of Pluscamp, ASCI, ANWB and ADAC, we have a wide range of attractions to offer. Strynsvatn Camping has 37 cabins, 4 apartments and more than 40 stands for motor homes and tents. Numerous activities for the whole family are available at the campsite or in the local area. Strynsvatn Camping is beautifully situated by the Stryn lake. Being strategically located in the middle of the Stryn Valley, there are only moderate distances to tourist attractions such as the Summer ski centre and the community centre of Stryn, 12 km west. We are open all year round and the reception, including a grocery store and cafè, is open during the summer. Strynsvatn Camping is a family owned campsite with long traditions within service, quality, high standards and hospitality. Our qualities mixed with the magnificent wild nature of western Norway will make your holiday unforgettable. Strynsvatn Camping is a modern, up-to-date campsite, and as a part of Norwegian Campingguide, Pluscamp, ASCI, ANWB and ADAC, we have a wide range of attractions to offer. Strynsvatn Camping has 37 cabins, 4 apartments and more than 40 stands for motor homes. Numerous activities for the whole family are available at the campsite or in the local area. 1 motorhome for rent.